Also in today's open source roundup: Pokemon GO released for Android, and will 2-in-1 Windows PCs destroy Android tablets? I currently own a 13" 2015 MacBook Pro w/ Retina display and force touch trackpad. I primarily went for it because I wanted a good screen and decent battery life (there were a few other reasons as well, but I’d rather not justify my purchase here and start a discussion on something else entirely). Anyways, I’m finding it very difficult to get used to the weird modifier placement. There’s an Alt/Option, a Command, and one Control, and coming from a PC, I can’t get used to the new controls and placements on OSX. Perhaps they are more configurable on Linux? Also, how is the Linux support on this particular MacBook? Those two factors can easily make me swap out OSX for Linux. Suprjami: “I don’t own a MacBook but I considered it with my laptop purchase earlier this year. From what I saw, the MacBook say 2 models behind is likely to have better Linux support and most problems ironed out, when compared to the very latest model. The Arch wiki is pretty good at documenting issues, and do a Google search the model number and Linux, eg “macbook A1534 linux”. You almost certainly have to dual boot OSX so you can install firmware updates if required. I wanted just one OS and not to stuff around with another bootloader. I couldn’t find many good screen options. They seem to either be high res hi-dpi displays which are annoying on Linux, or too small like 1440x900. I wanted plain old 1080p or 1920x1200 and smaller than 14". I don’t really think Apple hardware is that expensive compared to other brands, at least to buy. The proprietary adaptors are where they get you. The power bricks are arguably designed to fail and be unserviceable. Their warranty support is notoriously bad. Lastly, maybe this doesn’t matter to you but it matters to me, Apple are not a good organization. I’ll save the rant and just say I have ethical issues giving my money to this company. In the end I decided it wasn’t worth it for me. Hope that helps. 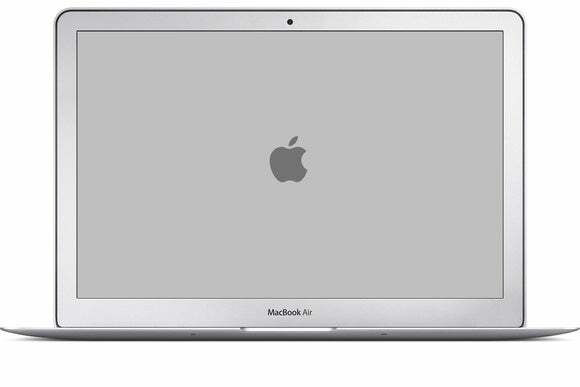 Juan08880: “I have used a distro bare metal on 2 Mac laptops (Pro and Air) for a while. There was no driver available for the builtin proprietary webcam (pretty sure it’s still the case). Also, if you have a Macbook Pro with a Nvidia video card, it could be difficult or near impossible to only use the basic integrated Intel gpu on a daily basis for a more energy efficient experience. Overall I would say that the experience was OK but not the best. Buzzrobot: “Look for reports of showstopping failures or glorious successes with the specific model of Mac you’re considering. I installed and ran Ubuntu and Fedora on a 2011 Macbook (model 8,11) a couple of years ago. I found that guidance that was not specific to the 8,11 would not work. That model had AMD video and Intel video on board. Linux was unable to handle switching between the two. One or the other had to be disabled. Since Macs have no BIOS in which to disable a video card, I had to resort to an obscure method of using grub to emit a string of bytes to the firmware before the kernel booted. I found no way to regulate fan speed. The fans were maxed out when the AMD was in use, as were the temps. This setup broke on both distros when the next kernel update. Reinstall attempts failed. B1twise: “Wait about 6mo after release before seriously considering it. That gives the early adopters time to fix major issues, and you can usually find a thread on linux message boards documenting their successes. I’m on my 4th or 5th Apple laptop now, and only one has been a complete piece of trash. The 2015 Macbook is junk. The lack of ports and the HORRIBLE keyboard really cripple it. It’s also slow. It is my newest Apple laptop, but I never use it. Android users can now get the Pokemon GO game from the Google Play store. Will 2-in–1 Windows PCs destroy Android tablets? Microsoft’s 2-in–1 Windows computers might be the final nail in the coffin of Android (and iOS) tablets according to a writer at ZDNet. The problems start when I want to do research, or fact-check something, or pull a link or a quote from somewhere, such as this link to data showing how iPad sales have declined. That’s when things start getting messy on an iPad or some Android-powered beast. Switching apps is a pain. Switching tabs in a browser is a pain. Entering data into a spreadsheet requires painstaking concentration, and the scope for messing things up is high. And if I have to access information from a video or audio clip, then the whole thing falls apart rapidly because some apps – YouTube, I’m looking at you – are rubbish at keeping their place in media files. Split-screen support on newer tablets makes this better, as long as you can restrict yourself to two apps. Beyond that, it’s just a Band-Aid over a really nasty, festering wound. Multitasking is where 2-in–1 Windows systems really shine, and it’s got less to do with the hardware and more to do with the fact that Windows is the operating system that’s powering them. Despite almost a decade of continual improvement, iOS and Android still can’t come close to Windows in terms of raw usability (I suppose the same could be said of Linux or MacOS, but we don’t have 2-in–1 systems powered by these operating systems). Not only do you get the ability to run full applications, but you can run several of them side-by-side, and switch between them effortlessly. I understand why buyers, both consumer and enterprise, flocked to the iPad and Android tablets a few years back. It’s because there really wasn’t anything to compare with them that ran Windows. But now that we have Windows 10 powered 2-in–1 PCs that come in at a cheaper price point than the iPad, it makes sense why they’re selling so well. It’s because people are going back to what they know works.